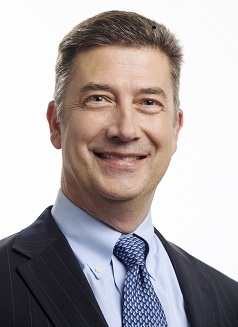 Karl joined Sealed Air in 1981, starting his career with Cryovac in research and development (R&D), working in the applications development group. After 14 years in R&D, he served in various marketing and business leadership roles for North America as well as the business globally. Named President of Food Care in November of 2011, Karl leads the $4 billion Food Care Division that creates packaging and hygiene solutions that improve food safety, increase operational efficiency, extend shelf life and reduce resource use and waste throughout the global food and beverage supply chain. Karl is a food scientist and has a bachelor’s degree in microbiology and a master’s degree in food science from Clemson University. He is a former, but long-term member of the North American Meat Institute (NAMI) Board, where he served two terms on the executive committee. In 2012, Karl and Sealed Air Corp received the NAMI Supplier of the Year Award. This award is given to a supplier member of NAMI that truly partners with meat and poultry processors to help achieve industry goals. Karl is also a member of the US National Chicken Council’s (NCC) allied leader board, and Clemson University’s Packaging Science and Food Science and Nutrition Advisory Board. In 2015, he joined the North Carolina Food Manufacturing task force and food industry needs assessment sub-committee created by Governor McCrory.